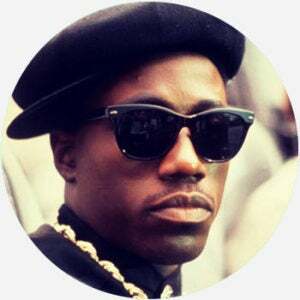 Nino Brown is the main character in the 1991 film New Jack City, about a drug-dealing ring in New York City during the crack cocaine epidemic. In real life, Nino Brown is a rapper and member of music group Junior M.A.F.I.A., which included artists such as Lil' Kim and The Notorious B.I.G. Hella rappers reference Nino brown but leaves out the part about him using a child as a human shield & how he ratted on his entire organization. ...Nino Brown has become a regularly referenced movie character in rap lyrics for decades. A simple search of “Nino Brown” on RapGenius shows over 4000 references to the character by artists from all over world. Former We The Best artist Nino Brown has made a career after rap music. Now Nino is one of the most popular urban motivational speakers and has a huge following....Nino is accusing Instagram star Fatboy SSE of stealing his style. Where does Nino Brown come from? In the film New Jack City, Nino Brown (Wesley Snipes) is the head of a crack-dealing outfit called Cash Money Brothers, who operate out of an entire apartment complex known as the Carter. The movie follows Brown as he is eventually brought down by an undercover cop (Ice-T), though not without defending himself and his role in the larger crack epidemic. New Jack City was a well-received film, and Nino Brown is considered one of Snipes’s best roles. Real-life rapper Nino Brown was born in Miami Beach, Florida, in 1978. As a teenager, he befriended legendary rapper The Notorious B.I.G. (Christopher Wallace) and, in 1995, became an original member of Wallace’s recording group, Junior M.A.F.I.A. Brown went on to produce several albums, including Grapes, We Don’t See ‘Em, and his latest, Hood Hero, in 2017. Brown was signed to DJ Khaled’s record label, but left in 2016 after claiming Khaled had stolen elements of his music. Nino Brown also works as a motivational speaker. Due to the enduring popularity of New Jack City, Nino Brown is a widely recognized character. He is counted among the major gangster characters of great cinema, and rappers such as Lil Wayne and Tyga have referenced him by calling themselves Young Nino and alluding to him in their lyrics. His name and character are largely associated with the violence, drug culture, and racial unrest of 1980s New York, and may raise sensitive issues if discussed with unfamiliar people. Rapper Nino Brown is known for being part of the Junior M.A.F.I.A., one of the most famous and lauded rap collectives in history. He is referenced in rap history, and today is known largely as a motivational speaker who lectures on strategies for success in urban settings. His feuds with rappers DJ Khaled, among others, have also given him a reputation as a combative personality.